Meathead Movers is here to take care of the heavy lifting for you on your next move. Our clean-cut student-athlete Manteca movers are ready to get you safely settled into your new home, wherever it may be. Known affectionately by residents as The Family City, Manteca is an agriculturally-fueled community located in California’s Central Valley. If you are considering a move to this family-friendly city, our Manteca Movers are here to help. Families moving to Manteca will find that the city offers easy access to many of California’s most famed attractions including Yosemite and dozens of wineries. Many families here because of its ideal location for those who commute into the Bay Area. The community of Manteca proudly hosts many special events throughout the year geared towards families. The best known of all is the annual Not Forgotten Memorial Day Event, which is one of the largest celebrations of veterans on the West Coast. The city also boasts the Crossroads Street Faire, farmer’s markets, pumpkin days, and an annual restaurants week. Manteca lies just two hours from Yosemite Park, making it a great base for families who want to be close to some of California’s most beautiful natural views. The city itself also boasts an excellent parks system with plenty of events for families to enjoy. The 3.4-mile Tidewater Bike Path allows families to bike and enjoy the area’s beautiful scenery. Settling down here is exciting, but we all know that the process of moving into a new home can be incredibly stressful. At Meathead Movers, we proudly employee friendly, clean-cut student-athletes who can safely move your possessions safely from one home to another. Our Manteca movers handle local, long-distance, and commercial moves, and we’ll make sure that the same moving team is with you from beginning to end. In addition to helping you physically make the move to your new home, we can also help you get ready to move with our Princess Packing services. We’ll securely pack all your belongings so that they arrive safely at your new home. Our Manteca movers stand by our services and are proud to be the only moving company in California that offers a 100% satisfaction guarantee to all our customers. This city’s gorgeous Mediterranean climate means that you’ll be able to enjoy the city’s diverse recreation opportunities from the moment you arrive in your new home. 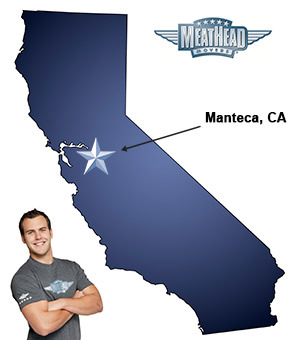 Choosing Meathead as your Manteca movers is a great way to ensure that your transition to your new home is fast and stress free. If you’re moving to Manteca, fill out our online form today for your free no-obligation moving quote. On time, very courteous, very efficient move. All the young men worked their—-s off, moving as quickly as possible all while wrapping the furniture safely and securely in pads and tapping everything. In addition they were all polite and very professional . If I ever have to move again I will absolutely call meatheads. My final destination was 3 stories and the stairs were very steep. I did not hear one complaint from any of them and they were moving some very large heavy pieces around some very tight corners. I was impressed. The team was wonderful. They were cheerful, great attitudes and did their job beautifully for me. I was very pleased. Again I must say how terrific the guys were. Well mannered and very well trained in their jobs. Thank you. I made a great choice in using Meathead Movers. Courteous, clean cut, caring about our time and concerns.